Edenred, the global leader in payment solutions for the working world, connects 830,000 corporate clients, 47 million employee users and 1.7 million partner merchants across 46 countries. Thanks to its global technology platform, the Group managed 2.5 billion transactions in 2018, primarily carried out via mobile applications, online platforms and cards, and representing more than €28 billion in business volume. Like-for-like growth in funds from operations before other income and expenses (FFO) of more than 10%. 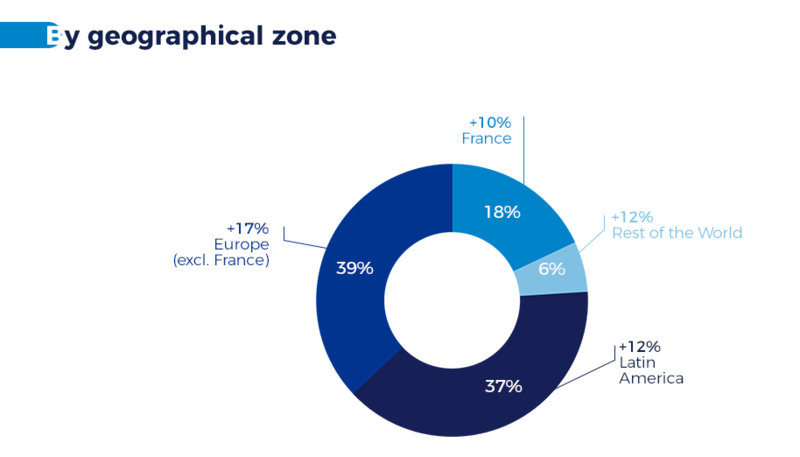 Group total revenue increased by €1.38 billion in 2018, includes operating revenue and other revenue (formerly called financial revenue). 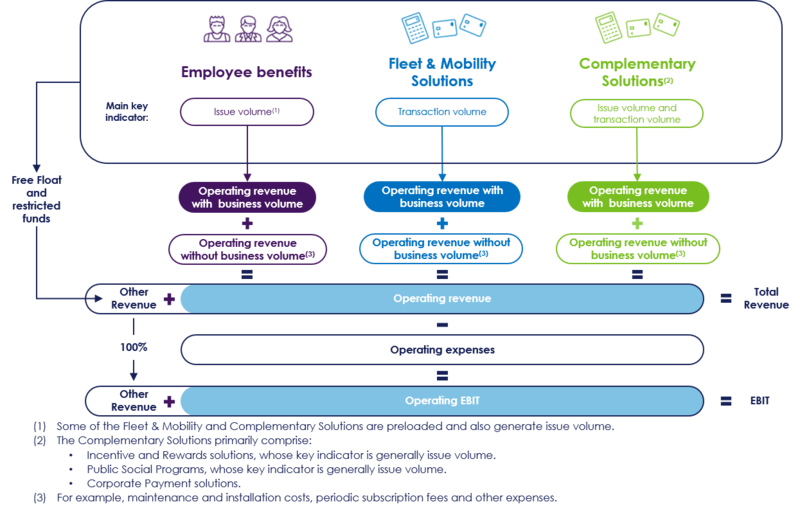 The most relevant metric for the Group business is operating revenue. A part of it is dedicated to business volume generated by Edenred. EBIT corresponds to operating profit before other income and expenses, equal to operating EBIT, and other revenue. EBIT increased by € 461 million in 2018. More information about financial results and quarterly information, click here. For Edenred business lines, click here.